Our Bites Of Style word for the week is balance and flexible. When I think of these two words, I am reminded of trying to balance and be flexible in yoga class . It’s a scary thought. The countless times I fall over and hit the person next to me is so embarrassing. Everyday is different, but as long as we keep trying we CAN achieve a balanced life. Balance: a state of equilibrium or equipoise; equal distribution of weight, amount, e.t.c. Counterpoise, mental steadiness or emotional stability, habit of calm behavior. Flexible: capable of being bent, usually without breaking; willing or disposed to yield; pliable. 1 Peter 5:9 says, “Be well-balanced ( temperate, sober of mind) be vigilant and cautious at all times. I pray each of you will find balance in your life this week. 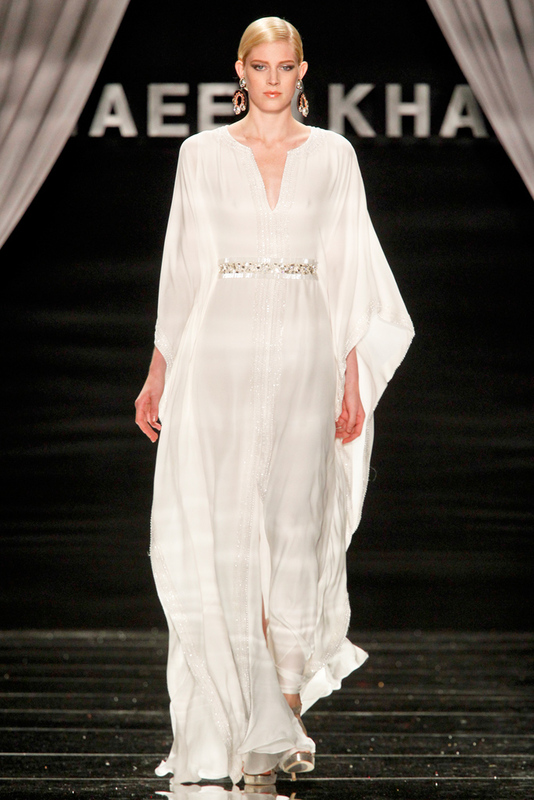 With summer coming to an end and Mercedes-Benz Fashion Week starting in 3 weeks, I wanted to revisit one of my favorite designers Spring 2012 RTW Collection. 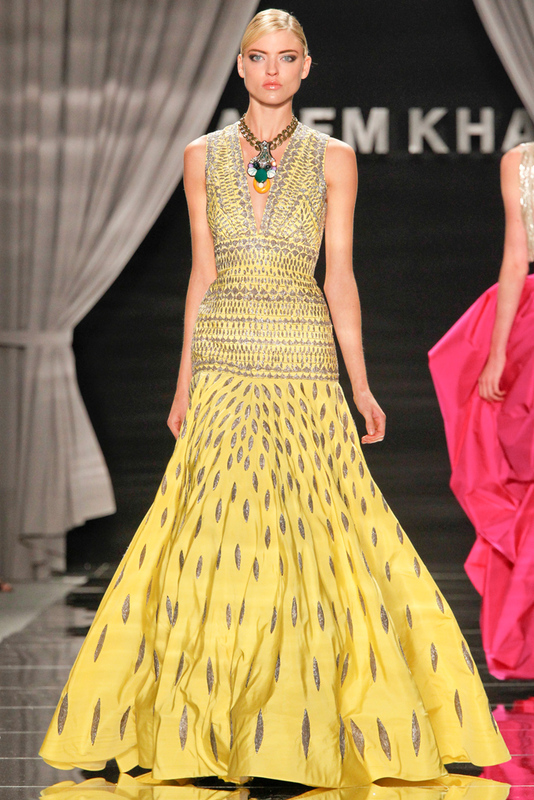 Naeem Khan knows how to make women feel beautiful and a thing or two about being flexible and balanced. Q: After launching your Naeem Khan Collection in 2003, how did your collection catch the attention of such iconic department stores like Neiman Marcus, Saks Fifth Avenue and Harrod’s? A: It’s a lot of hard work and dedication. I started working as an assistant carrying bolts of fabrics, and doing whatever it took to become a designer. I did it for passion, I didn’t do it for the money. I learned the craft over the years. I had been working for 20 years already before I was picked up by such iconic stores. So you have to pay your dues first. Q: Do you have any advice for young designers who aspire to work with iconic department stores and showcase their designs worldwide? A: You have to work super, super hard and you have to train your mind to constantly design. You are on the train or you are at a party, maybe with your boyfriend or girlfriend, your mind must always be shaping and reshaping until it becomes a constantly designing engine. I launched my collection in 2003 but I didn’t do a runway; I only did my first runway in 2005. You have to be flexible. Between 2003 and 2005. I only made dresses and experimented with them in stores to see how to sell them and learning my market. Young designers must understand that having clothes on the runway costs a lot of money. Otherwise what happens with many designers is they borrow money to put on a runway show, they create debt and go out of business or end up selling cheap. So I made my money before I even went on the runway.